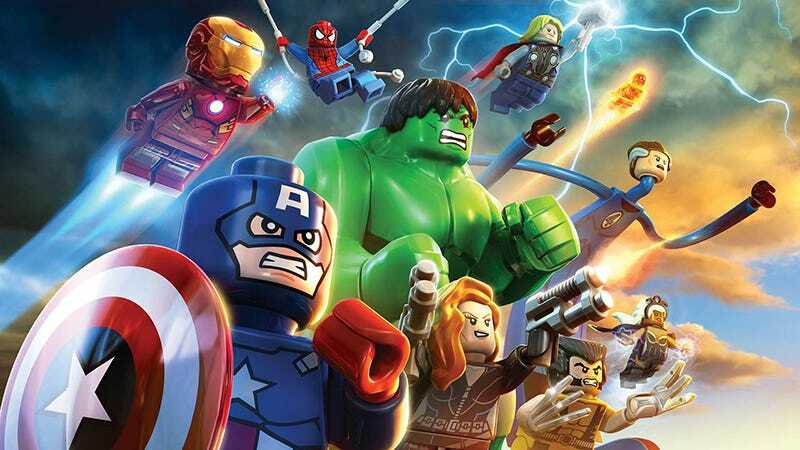 Much like trying to force a horse to drink some water after you finally lead it to the pond, I finally managed to lead my son through the complete story of Lego Marvel Super Heroes. Hands down my favorite Lego game in the history of Lego games, that or the Lego racer game... anybody remember that you could build your own car and stuff? I’m pretty sure that was a real game, and I’m pretty sure I enjoyed it as a kid. So many characters... Good god so many characters, I think we managed to unlock about 3/4 of them. I mean, I made sure to unlock the best character as soon as I could (Gambit, obviously), but there is seriously like over one hundred characters. I was amazed at how my son memorized where in the giant grid of characters his favorites were. The story is passable, and the voice acting is actually pretty excellent (I wasn’t expecting much). The combat is really good, most of the characters feel unique, whether they are flippy like Toad, weapon wielders, guns and lasers, for the most part they all feel a little different. It’s slightly better than your average Lego game, but really gets a whole lot better once you start unlocking your favorite heroes (or villains in my sons case... should I be concerned? ), and head on back through the levels to collect all the stuff you couldn’t get before. If you are looking for a game to play with a little one, or just really like Lego I recommend picking this one up. It runs pretty cheap these days, I think I saw it on steam for like 10 bucks recently.